Google Music is about to get a much-needed boost to its catalog thanks to a new deal with overseas rights holders. The Associated Press reports that the platform inked a licensing deal with European music publishers and artists that will add an additional 5.5 million tracks spanning 35 countries throughout Europe. Typically, music licensing deals are secured on a country-by-country basis, as has been the case with Amazon and iTunes, but by working with Armonia, a major European music publishing group that represents licensing organizations based out of France, Italy, and Spain, Google has obtained the rights to stream music in 35 more countries in one fell swoop. The royalty and financial parts of the deal were “in line with industry standards involving Google rivals like Amazon and iTunes,” says SACEM spokesperson Catherine Kerr-Vignale. The deal will enable Google Music users in these 35 countries to sync their albums and music to their Google Music library that can hold up to 20,000 songs. It also grants its European users the opportunity to purchase music from what we can tell include mainstream artists, considering that music from Lady Gaga and Rihanna are among the types of tracks that have been named in the deal. The announcement comes after Google Music unveiled its free scan and match feature that finds the music on your computer and uploads it to the Google Music platform. Normally, users of Amazon and iTunes are charged an annual fee of $25 for the same feature and the extra storage. The deal will be critical in expanding its services internationally to remain competitive and in particular to stave off rumors that circulated in March suggesting that Google Music was bleeding users consistently on a weekly basis and “not living up to expectations.” Some music label executives at the time were voicing their concerns that Google was shuttering the doors of its Google Music project. 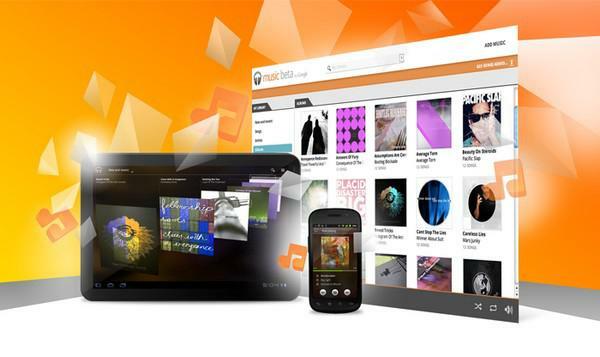 Google Music’s main struggle can be traced back to its contention with the major music labels. The labels are wary of partnering with the platform because they see Google Search as a path toward illegal downloading, which it undeniably is, and want the company to block these sites completely or at least do more to thwart music pirating — and they’re holding out on a deal until Google appeases them. And for all its work partnering with indie labels and artists, the relatively empty library remains a problem. While Google Music does have partnerships with Universal and Sony, it’s becoming more and more important to net all four labels in order to compete with the likes of iTunes and streaming services like Pandora and Spotify. Perhaps this new deal will make it a more viable option overseas, although it seems like Google Music faces an uphill battle in general. Nintendo cleans up Wii U Miiverse after accidental "hacking"